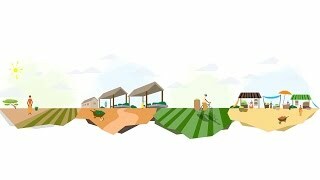 The U.S. Agency for International Development and its partner organizations today awarded grants to winners of its contest to come up with innovations to improve agricultural productivity and value in developing countries. “This comes out of our food security efforts,” said USAID Administrator Rajiv Shah, who noted that 50 percent of crops grown in sub-Saharan Africa are lost. 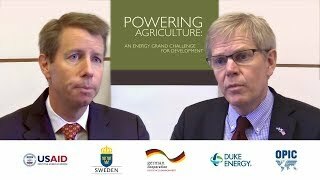 The 12 winners of the “Powering Agriculture: An Energy Grand Challenge for Development” competition received grants between $800,000 and $1.5 million and were presented certificates at an all-day conference at the Ronald Reagan building where the USAID headquarters is located. Several of the innovations focused on developing energy to power irrigation and cold storage facilities. The winners included the Earth Institute at Columbia University, which developed micro-solar energy units to help Senegalese farmers power multiple pumps for irrigation and SunDanzer, which collaborated with Winrock International to power refrigeration for Kenyan dairy farms. USAID’s partners on the project are the government of Sweden, the German Federal Ministry for Economic Cooperation and Development, Duke Energy, and the Overseas Private Investment Corporation, a U.S. government agency.